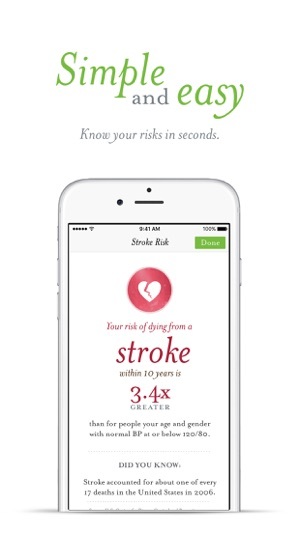 hearthabit.io is a smart, easy to use companion for iPhone and Apple Watch for those with elevated heart risks such as previous heart attack or stroke often due to pre-hypertension and hypertension. Track and manage your heart attack, stroke and high blood pressure risks, overall fitness, sleep, stress, sodium consumption, medication and more in just seconds a week. 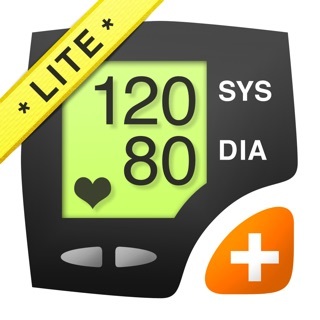 Heart Habit should be used with an FDA approved, upper arm cuff blood pressure monitor. Heart Habit is developed in collaboration with physicians, pharmacists and dieticians at Stanford, Kaiser, UCSF and UCDavis. The app automatically imports blood pressure, pulse, steps, exercise and sleep via integration with Apple’s Health App, Apple Watch or Fitbit as well as exporting your data to Apple's Health App for secure sharing and portability. You will receive individualized information and responses to your blood pressure changes with an ability to engage a human clinician for additional support and opinion. 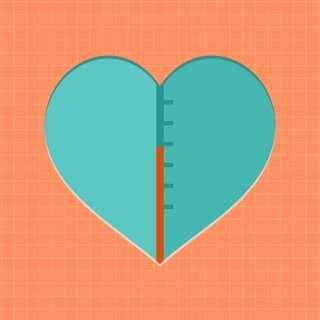 All new users receive a free 7-day trial of our 30-day Heart Tune-Up Program to learn and set goals to reduce the risk of sudden cardiovascular failure. 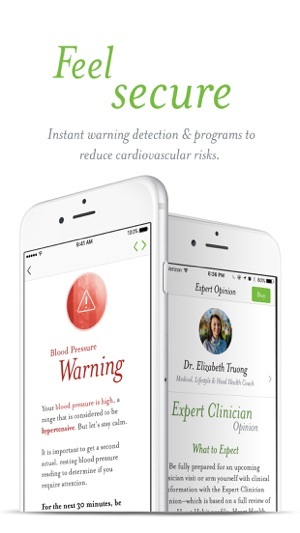 Achieve a healthy heart through clinically driven educational content, recommendations, personalized insights and trends across activity (like steps, sleep, exercise), lifestyle (stress, diet, medication if applicable) and your blood pressure trends that you can use to maintain a perfect blood pressure. Over 2 billion people worldwide have high blood pressure, in the form of pre-hypertension or hypertension and called the silent killer. Silent because until a sudden stroke, heart attack, kidney failures and other cardiovascular events, there may be no symptoms. "I HATE taking my blood pressure all the time and always forget to log my measurements!" You're not alone. Despite being painless, taking your blood pressure every day becomes a chore. 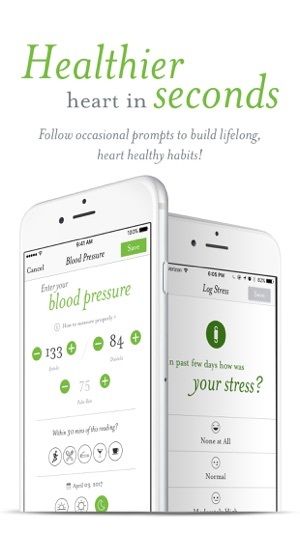 Use Heart Habit to log and track your heart factors and gain personalized educational content and insights. 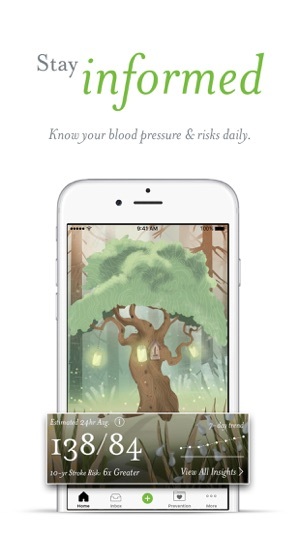 On days when you just can't or don't want to provide a blood pressure reading, Heart Habit uses artificial intelligence combined with clinical guidelines and algorithms developed by the American Heart Association to estimate a user’s daily blood pressure average and stroke risk simply to give an directional indication of daily changes. Estimated daily averages are only meant for user engagement and do not get reported to physician reports. Every day you interact with Heart Habit, watch your Tree of Life grow and thrive! Finally, all of your actual blood pressure and pulse values are synced with Apple's Health App so your data is secure forever. With a companion Apple Watch app and Force Touch shortcuts, users can access blood pressure changes and have an even faster, simpler experience. Fitbit users can sync their Fitbit activity to track steps, exercise and sleep. 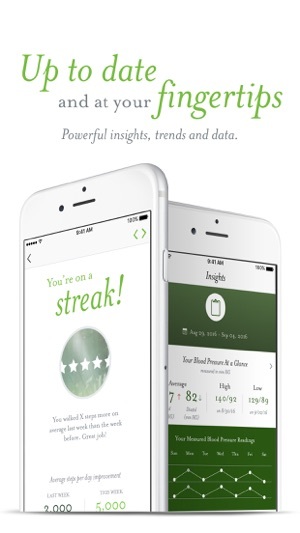 Over time, your reported blood pressure and heart health data is turned into valuable personalized insights, graphs, rewards and trends for you via the Heart Habit app as well as through reports you can generate anytime to share with physicians and caretakers. For an even deeper, more personalized clinical review, our Expert Clinician Opinion allows a human doctor to review your Heart Habit data and provide recommendations, a personalized review including possible drug to drug interactions and what to expect if a physician visit is necessary. There is a heart attack every 43 seconds in the U.S. alone often due to high blood pressure as the primary cause. 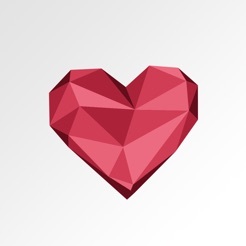 Save yourself and your family stress and time, visit the doctor’s office less often and save money (high blood pressure alone costs the U.S. healthcare system almost $50 billion per year) by incorporating healthy heart habits today! Some Bug fixes and performance improvements. After entering all of the data requested the app asks you to register by email or by telephone number. When I entered my email address it told me that it was already registered; same with my phone number (I have never downloaded or used this app before). When I tried to log in, it told me that neither my email address or phone number were registered. I gave up after that and began looking for another, similar app. I was using this for the past few weeks and was excited to see things trending down. That's a good thing with BP. With this recent update features were removed and placed behind a pay wall. I'd be happy to increase my rating from a 2 to a 4. This felt deceptive and out of nowhere. Requires iOS 9.3 or later. Compatible with iPhone and iPod touch.